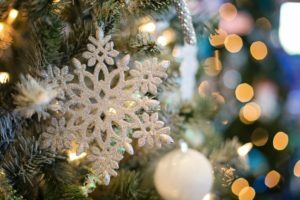 One way to substitute the traditional Christmas color scheme is to utilize elements of green, blue and silver. This light and airy approach will give a sophistication and maturity to any space. 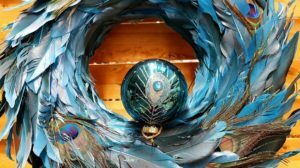 This is a great opportunity to incorporate both real and artificial plants, metallics, and an assortment of blues to “cool down” your decor. If you favor a minimalistic style, white, brown, and touches of gold may be the route to go. A flocked tree with oversized gold ornaments and brown paper packages is a fresh approach to holiday decor. White candles, twine strings, and wooden garland also add elegant elements to complement any rustic display. A timeless Christmas favorite is silver and gold. Paired with hints of white, these colors look gorgeous on any tree, mantel, vignette or the like. An ornament wreath proudly displayed on a focal wall is a great way to tie these in with the rest of your decor. A red, tan, and rustic theme is perfect for fans of the farmhouse trend. Light brown upholstery, burlap pillows, and touches of classic red create a warm and welcoming environment for family and friends. Throw in touches of barn wood, a classic pickup truck, and a vintage hand-lettered sign and your natural color scheme is complete. 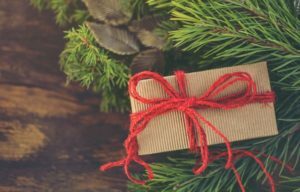 We hope your holiday season is filled with all the wonderful things that make this time of year so special. 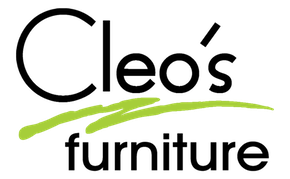 If you’re on the hunt for more holiday inspiration, come see us at Cleo’s Furniture! Our unbelievably low prices and quality products don’t disappoint. For over 30 years, Arkansans have been able to confidently outfit their homes with affordable furniture and decor. We look forward to helping you find your next treasure!